CLick HERE to subscribe, unsubscribe, change your email address or to change your delivery to a text only version! 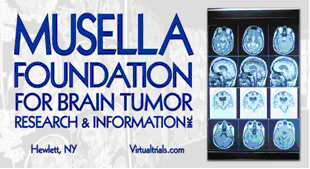 The Musella Foundation For Brain Tumor Research & Information. Do you like the style and colors of the News Blast? To submit a story / press release go to: click here.